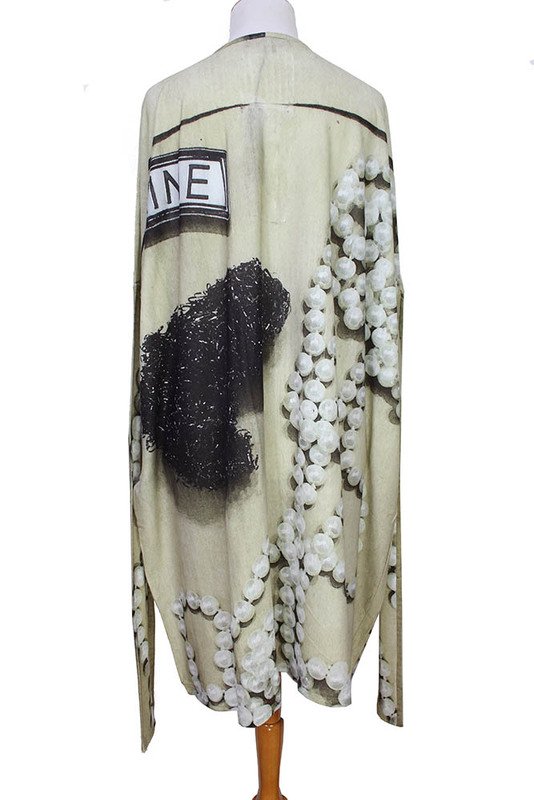 Barbara Bologna one-size print fabric 'Tube Dress' in stretch cotton jersey. Round neck with trim.Extra long slim fitting sleeves, to be gathered on the arm. Very wide square shaped, to produce a lovely drape. Finished hems and cuffs. The print is a string of pearls and sign with 'Veline' on, this is repeated on the rear. Lovely notable piece.